The file named Engine3.dll is developed by ABBYY Solutions Limited. The program is digitally verified and signed by the same company. The signing authority is provided by VeriSign. 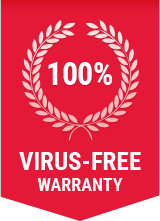 The reputed corporation ensures that the DLL file is safe from malware or Trojan attacks. It is generally safe to work with and has a threat level of 1. Engine3.dll is located in C:\Program Files\abbyy finereader 10\engine3.dll. The total size of the file is 61.3 kilobytes. The latest version of the program available is 10.0.501.29. The non-system process is not integral for the Windows operating system. It can be disabled at any point if found to be compromised without adverse effects on performance. How to check if your computer is infected with Engine3.dll malware? Go to the process tab and right-click on the Engine3.dll file and open its location. How to remove Engine3.dll malware from system with Comodo Cleaning Essentials? Step 5: Comodo Cleaning Essentials will remove Engine3.dll malware from your computer including all other malwares!